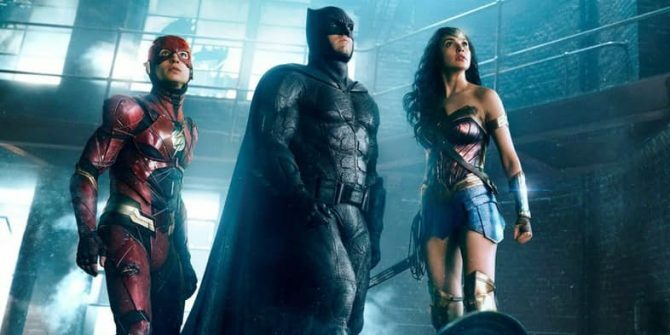 Extensive Justice League Reshoots Have Allegedly Resulted In Zack Snyder's Feature Being "Remade...Twice"
Justice League is, by name and nature, a complex ensemble movie founded on the belief that Batman, Superman, The Flash, Aquaman, Cyborg and Wonder Woman can join forces on the silver screen in a competent, coherent and, ultimately, entertaining manner. It leaves Zack Snyder and the creative team with an awful lot of plates to spin, and if nothing else, David Ayer’s Suicide Squad is living proof of a concept that, while enticing on paper, struggles in its transition over to celluloid. There are, of course, a number of reasons why Task Force X’s big-screen debut proved to be a middling disappointment – thinly-drawn characters, a convoluted script and those allegations of a tortured production, to name but three – but if a rumor unearthed by Splash Report (via /Film) is to be believed, filming on Justice League hasn’t exactly been smooth sailing, either. Citing one anonymous source close to the Warner Bros. production, the outlet claims that ever since Justice League wrapped principal photography in October of last year, the ensemble pic has been shackled by reshoots – reshoots that have seemingly resulted in Zack Snyder’s star-studded blockbuster being overhauled…twice. At the time of writing, there’s no official word from WB, so it’s best treating these rumors as just that. Still, assuming they hold some degree of truth, today’s report is pretty damning, and doesn’t leave us with much confidence in Justice League ahead of its theatrical launch in November. Speaking on a condition of anonymity, [our source] said that in the 17 months between the start of principal photography and the final cut arriving in theaters in November that the film will have essentially been “remade…twice. Tell us, what do you make of all this? Do you believe there’s some semblance of truth to be found in this latest Justice League rumor? Or has Splash Report conjured up a lot of hot air and little else? Let us know your thoughts below.